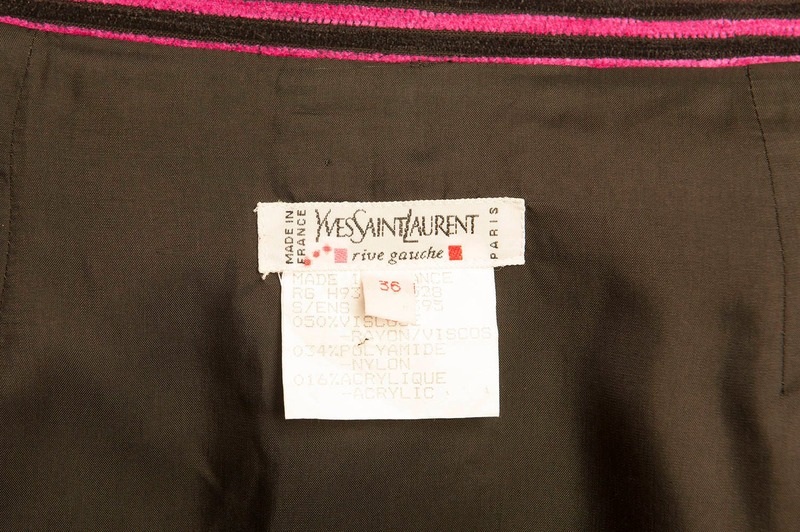 Vivid pink color and black stripes pencil skirt by Yves Saint Laurent from 1993. Closure with a button and a zip on the left, slash pockets on each side. Size 36 in French, XS.